With Christmas only 5 days away (how did that happen?!?!) most of you are probably out of school and looking for some fun, festive activities! 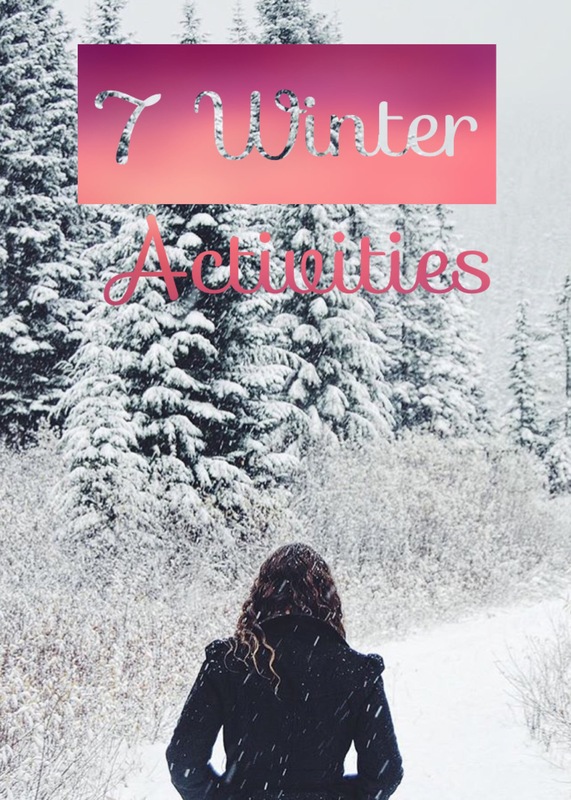 So, I have compiled a list of Holiday and winter activity ideas that are a lot of fun! A lot of these are around the Seattle area, but I’m sure there are similar events in most places! Go Iceskating, there are tons of places to go Iceskating and it is honestly just such an enjoyable Holiday activity. Actually, I would say it’s enjoyable all year round but especially during Christmas season. Snowflake Lane, this is in Bellevue and they have a little Holiday parade and fake snow. It is very fun and entertaining! The only negative I have about it would be that it is very crowded! So, if you don’t like being squished next to lots of people, this wouldn’t be for you! Zoo Lights, I have to admit, zoo lights has been one of my favorite Holiday things to do ever since I was a kid. It is just so fun! I recommend going to The Point Defiance Zoo and Aquarium if you live in the Seattle area. Their’s is the best! Play In The Snow, there are lots of places like Snoqualmie Pass where you can go tubing and sledding in the snow for very cheap. If you want to spend no money, my friends and I often just go up to the Pass or Mountains and enjoy the snow by ourselves! It is lots of fun, but make sure you have proper vehicle safety precautions so you don’t get stuck! GingerBread House Shows, we go to this event every year at the Sheradon in Seattle, where you just walk around and admire giant GingerBread houses. They are made by really skilled people and are amazingly intricate and beautiful! I highly suggest going! It will blow you away! Take Santa Pictures, this one is pretty basic but lots of people seem to not do it because of that. Growing up, we always made a day event out of going to take Santa Photos that included going out to eat & some Christmas shopping. It can be lots of fun with the right spirits. What are your favorite Holiday Activities? I’m always looking for new, fun things to do! Comment & let me know! Why don’t you blog anymore or collab anymore? I actually have been working on some blog posts that are a little different! I’ll have one posted later today!